We are a birthday family. We do Christmas on the cheap to try and push a focus on the day being about the wider family … but more about our Christmas fugality in a later post… On birthdays, we spend! We save for a little splurge on the kids birthdays and while they will let us, we like to spend on activities rather than large gifts as such. At 2 and 4, they let us away with this – this year’s gifts for A were his new Group 2/3 car seat (£40), new toothpaste (£1) and a Nerf gun I found on sale in Tesco (£4.50!). 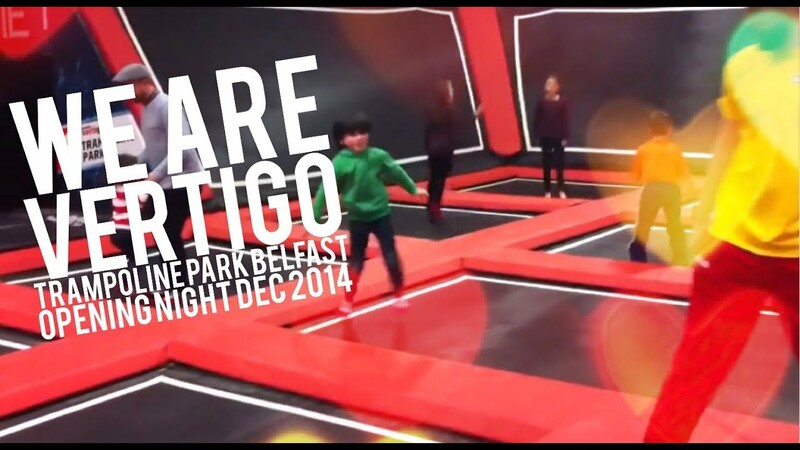 As his main present, we arranged for A & F, plus their two wee buddies of the same age to go to We Are Vertigo trampoline park with a blast in the ‘Adventure Area’ afterwards and it did not disappoint. The venue, Europe’s largest trampoline park, offers “Toddler Only” sessions every Saturday 9.30am – 10.00am and Sunday 11.30am to 12pm. These sessions are for kids aged between 2 and 5 years of age and it suited us perfectly as F is high energy and would definitely get into bother with larger kids bouncing around. I felt a bit cheated that the toddler session was only 30 minutes, but I needn’t have – it was more than enough and in the end, our sweaty brood rolled off the trampolines willingly and wrecked! We paid a £5 add on for the kids to visit the Adventure Centre in the warehouse next door, but we didn’t expect too much from it – we thought it would be a soft play area where the kids could run about for a bit and we could catch up with a coffee. However, the Adventure Centre is superb – there are climbing walls, a huge play area with slides, indoor climbing, and harnessed sky walking. It was well worth the £5 add on and really made a full morning of it. While I feel like we got our money’s worth, I think you could extend the day out by having lunch there but there is a strict no picnic-policy so you have no options to save anything on food and would have to order from their cafe and it was expensive and uninspiring.